A great space where you can have a peaceful time in Bali. This standard room is the most economical and simple room we offer. It features canopy double bed good for 2 people! 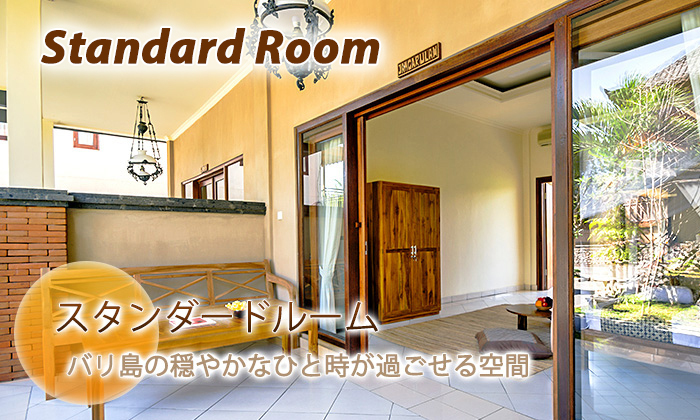 You will have a peaceful and luxurious time - even if you are only with us for a short stay. The terrace has great views of the rice paddies. The tranquillity of our Villa will ensure you have wonderful memories of your time on the island.